​How Can I Separate My Dining Room And Kitchen? Open-plan rooms are just great, aren’t they? Especially if it’s the kitchen and dining room that share a space. Enjoying that free-flowing vibe between the cook and guests (who are keeping you company from the dining table whilst they savour your exquisite wine collection) really helps to make your dinner gatherings more special. However, we do sometimes want to separate these two spaces ever so slightly. Especially as the evening progresses and more and more dirty dishes and glasses start piling up in the kitchen. Or when we want to whip up that secret sauce that’s considered a family recipe, and we don’t want the friends to see what ingredients are being used. 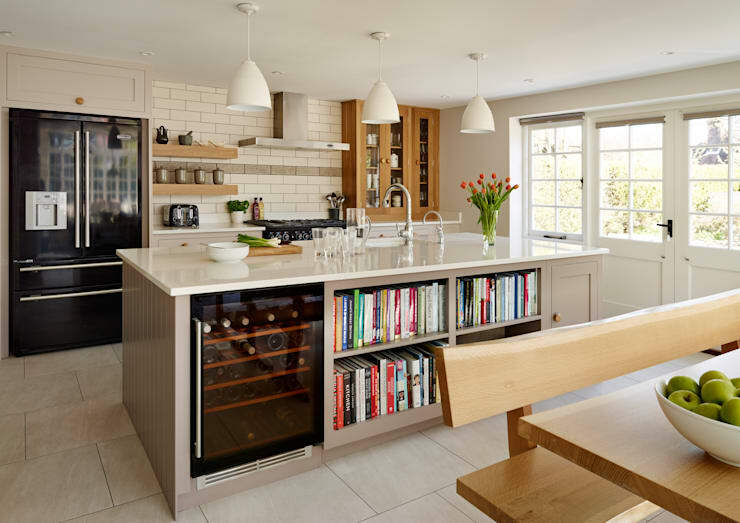 Regardless of your excuses for wanting to divide your kitchen and dining space, there are some creative solutions that can help create boundaries and privacy between these two spaces – and homify has them right here! To divide two areas without taking up too much floor space, consider installing glass panels between the two rooms. 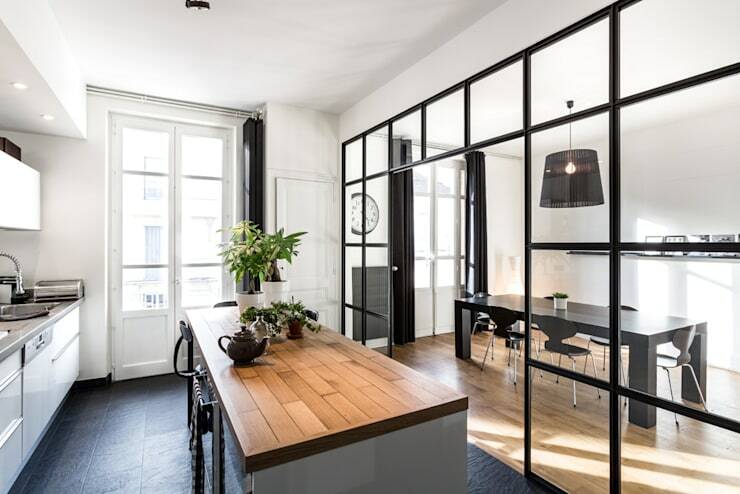 A partial wall of glass panels still provides a stylish separation between two areas, but doesn’t leave you with that closed-off feeling that a solid wall does. In addition, the glass will still allow the light from the one room to flow into the other, so you still get your fix of healthy natural lighting. And for those who have to keep an eye on youngsters, this is a great way of maintaining supervision as they do homework / work on their arts and crafts at the dining table, while you are busy preparing your next culinary feast in the kitchen. Adding a breakfast bar between your culinary- and dining space as a room barrier is a tried-and-tested alternative to walls. These beauties add storage space, extra work surface, and decor appeal all at once. 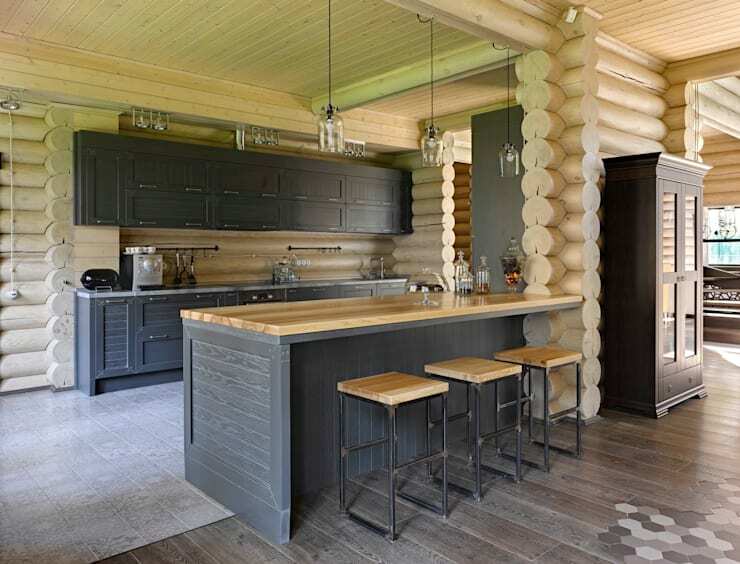 And, of course, it injects a firm yet stylish seating space into the kitchen (or, rather, right outside it) where we can sit and enjoy breakfast (or any meal) while admiring our stunning kitchen layout. A breakfast bar allows you to remain a part of the conversation taking place in the dining room as you prepare a meal, clear up after the day, or grab a quick snack for the guests or kids, while providing a slight visual separation between dining room and kitchen. Be sure to check out our list of kitchen planners to help you get that dream kitchen you’ve always dreamed about. What about something that very few of your friends will have? 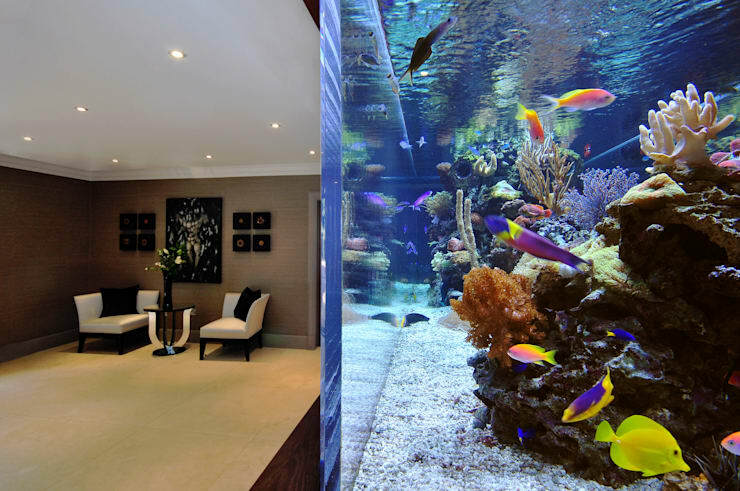 Installing an aquarium as a room divider is definitely a less-taken path to room dividers, but that does not make it a bad idea. Granted, this is a more risky option, as it requires some post-installation commitment from your side (those fish aren’t going to feed themselves). Plus, a fish tank this size (or any size) is bound to require the occasional cleaning, so be prepared to put in some elbow grease to ensure that Nemo keeps swimming happily along. What’s more, children are usually fascinated by watching those fish, and it provides a soothing effect on adults, too. So, should you consider this a fantastic solution, we advise that you seek expert guidance from a professional to take care of the proper installation. Maximise your furniture’s utility by installing a countertop that also effectively announces where the kitchen ends and the dining space starts. The same way that a kitchen island provides prepping surface as well as storage space, a countertop can do the exact same – yet you save on legroom on not having to allow for seating space. See the exquisite model above – it provides shelves and cubby holes that are most sufficient for storage opportunities. No more having to store your collection of cookbooks in a cupboard or in the study – simply bend down and grab the one you need while you simultaneously reach for the whisk. After adding a solid wall, a floor-level change is the most extreme form of constructing room dividers. We love how this floor change delineates the seating area from the rest of the room, preserving a unique and separate identity for each space. What’s more, opting for a lowered floor is a fantastic way of allowing that ceiling to truly soar, adding more visual space (and air) to your rooms. However, a less tricky option (and one that is certainly more cost-efficient) can be to also switch floor materials as you pass from one room to the next, i.e. coating your kitchen floor with a stunning tile design, and then opting for a wonderful wooden surface once you reach the dining space. Love a good tile surface? We do, and we’re going to show you how to: Enhance your home with modern tiles. We all the benefits of having plants and flowers in our midst. Well then, if your dining room and kitchen have good light, consider plants as a room divider. Tall potted plants in a row, or foliage in a zigzag pattern can add some depth. 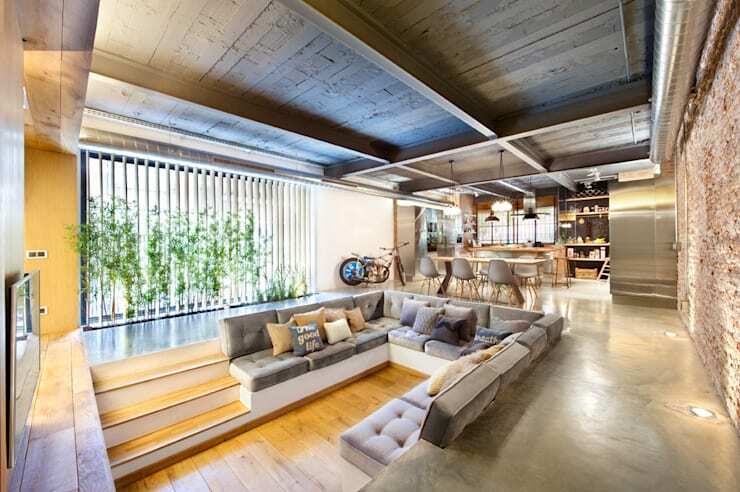 Or get really lush by suspending a row of planters from the ceiling, and adding pots from the bottoms of those pots. Alternatively, a plant stand set can fill in for a wall. Should you want to commit to something more permanent, a large container of bamboo poles / tree branches arranged in a floor-to-ceiling frame can serve as a great room separator. 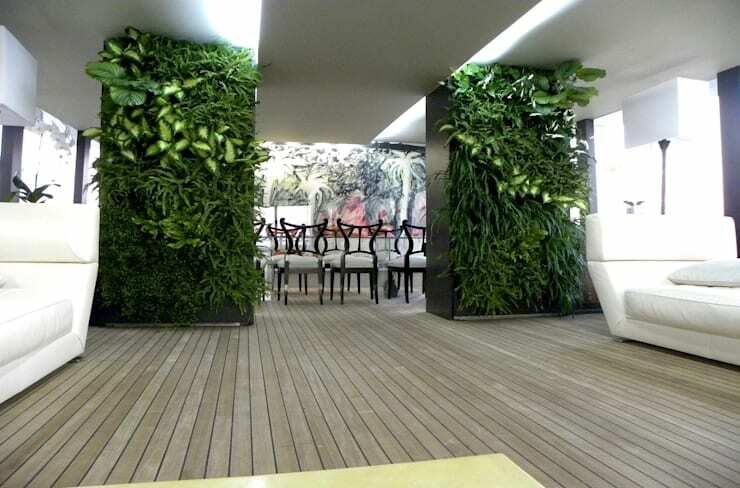 Or simply bring in those vertical gardens (who says they’re only meant for outside?) to effectively yet stunningly divide those two areas, while also adding some lush scents and greenery to your interiors. What other ideas do you have for effectively dividing your dining room and kitchen? Share with us!